We are committed to clear, timely and consistent communication with the investment community. * Others include shareholders beyond the Top 50, who collectively owned approximately 20% of the Company’s issued share capital as at 10 February 2017. Keppel Corporation aspires be a global company at the forefront of its chosen industries, shaping the future for the benefit of all stakeholders. We believe that robust business performance goes hand in hand with the best corporate practices, including effective investor relations (IR) and good corporate governance. In 2016, we focused on enhancing awareness and understanding of Keppel’s multi‑business strategy in the global investment community, alongside maintaining a balanced disclosure of our operational and financial performance as well as outlook. During the year, we held 135 meetings and conference calls with institutional investors, which included non‑deal roadshows reaching out to investors in Hong Kong, Europe and the United States of America. We also hosted several site visits to our shipyards in Singapore, as well as residential and commercial properties in China and Vietnam. To engage a wider group of investors, senior management gave presentations at the annual Oil & Offshore Conference organised by Pareto Securities in Oslo, Norway, as well as to the Templeton Emerging Markets Group in Singapore. 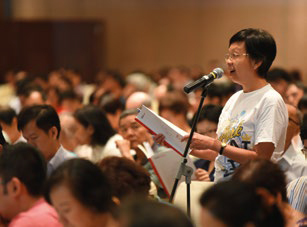 In addition to the Company’s general meetings, we continued to engage our retail shareholders as well as attend to their questions, feedback and information needs. 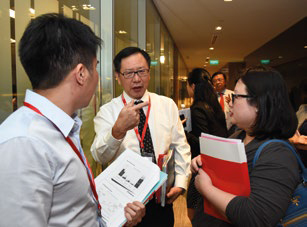 Our long‑term contribution towards the Securities Investors Association Singapore’s Investor Education Programme has benefitted some 2,400 of our retail shareholders who had access to a wide range of seminars, workshops and other support services offered. Presently, about 20 sell‑side research houses, with analysts based in Singapore and Malaysia, provide coverage on Keppel Corporation. We continue to develop and maintain close interactions with these research analysts, who play an important role in the investment community. 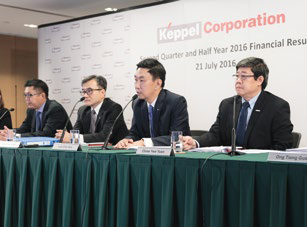 In 2016, top management including the CEO, CFO and heads of strategic business units gave briefings to help the analysts better understand the strategic intent of Keppel’s corporate actions. These included sessions on the restructuring of our asset management businesses and participation in KrisEnergy’s preferential offering of senior secured zero coupon notes with detachable warrants. 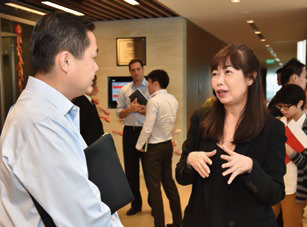 We also conducted a briefing for analysts on the Property Division, which has become the Group’s largest earnings contributor following the privatisation of Keppel Land in 2015. We engage regularly with the financial community in an effort to continuously improve IR practices. During the year, we continued to proactively engage the investment community through site visits. Our mobile‑friendly corporate website www.kepcorp.com continues to be the key resource for stock exchange announcements, quarterly results and annual reports, investor events, stock and dividend information and investor presentation slides. To ensure fair and prompt dissemination of information, we post all new material announcements on our website immediately after they are released to the Singapore Stock Exchange (SGX). We hold ‘live’ webcasts of our results briefings, which facilitate real‑time interaction with the top management every quarter. A video archive of the quarterly webcast, together with the presentation materials and management speeches, are released on our website on the same day the results are issued to the SGX. A transcript of the questions and answers from the webcast is also posted online the following day. 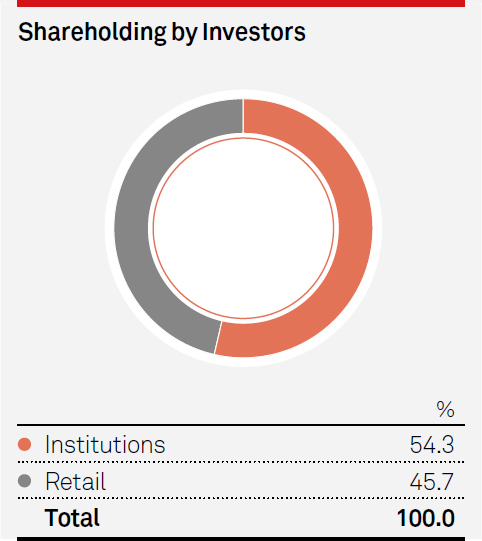 As at 10 February 2017, institutions formed 54.3% of our shareholder base, while retail investors accounted for the remaining 45.7%. Our shareholders are geographically diversified across Asia, North America and Europe. 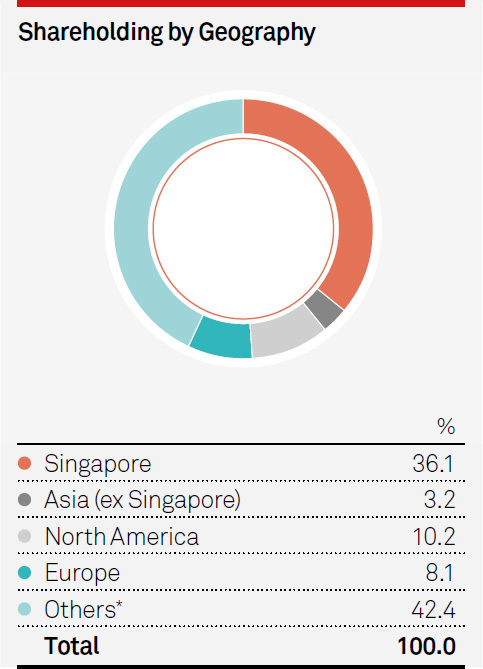 Shareholders in Singapore held approximately 36.1% of our issued capital, while the rest of Asia held 3.2%, North America 10.2% and Europe 8.1%. 4Q & FY 2015 results conference and live webcast. Analyst briefing on restructuring of Keppel’s asset management businesses. Group visit to Keppel FELS for clients of JP Morgan. 1Q 2016 live results webcast. Analyst briefing on the Property Division. Annual General Meeting for FY 2015. Non‑deal roadshows to New York with Bank of America Merrill Lynch, and to Zurich and London with UBS. Investor tour of the Sino‑Singapore Tianjin Eco‑City. 2Q & 1H 2016 results conference and live webcast. Presentation at Pareto Securities’ 23rd annual Oil & Offshore Conference in Oslo. Non‑deal roadshow to Hong Kong with UBS. 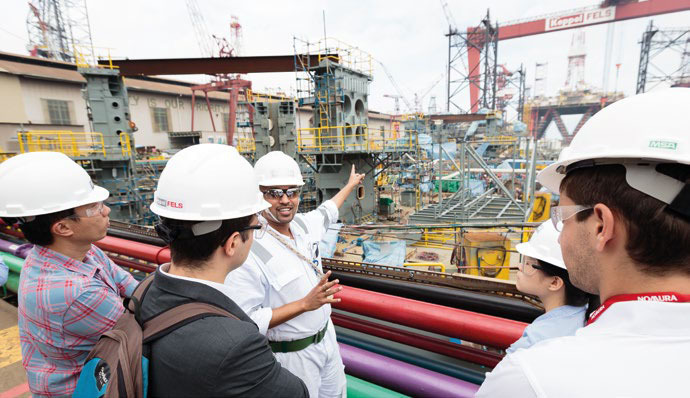 Group visits to Keppel FELS and Keppel Shipyard for clients of JP Morgan. 3Q & 9M 2016 live results webcast. Presentation to the Templeton Emerging Markets Group. Analyst briefing on preferential offering of senior secured zero coupon notes with detachable warrants by KrisEnergy. Investor tour of properties in Ho Chi Minh City.